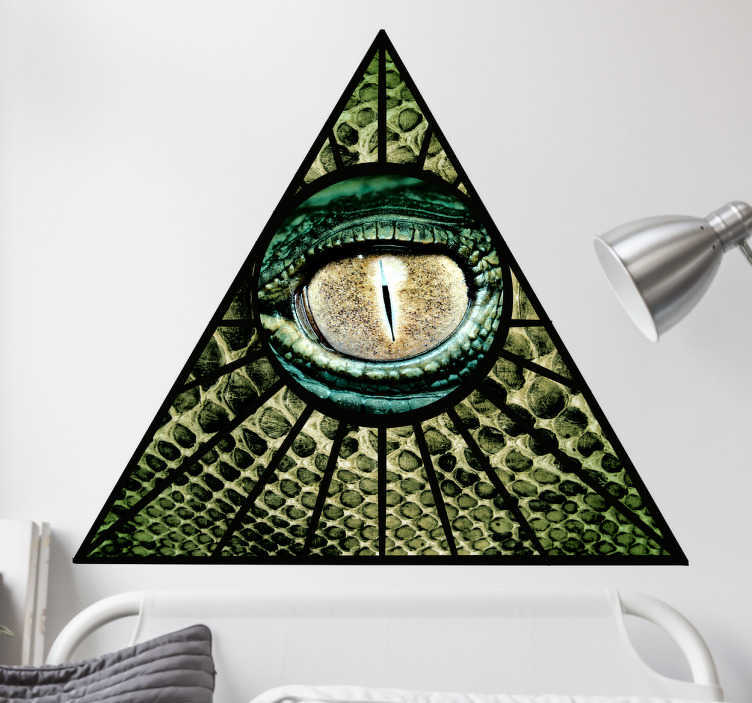 Wall Sticker of a sign which is widely known as the Illuminati symbol with a reptilian eye in a triangle or pyramid. It seems like there lines and rays coming from the eye. A fun sticker for conspiracy fans? Do you believe that we all are dominated by secret reptilian overlords? Then this is the wall decoration for you! A nice addition to the wall in a bedroom, living room, office, etc. This removable wall sticker is easy to apply to any flat surface.